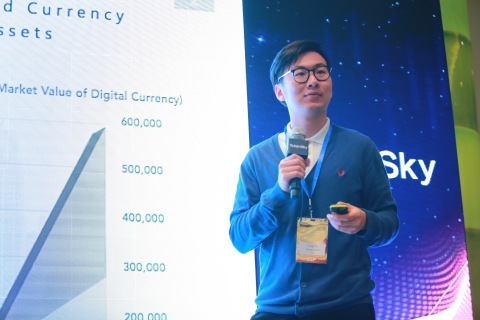 SEOUL, South Korea--(BUSINESS WIRE)--At the 2018 TOKENSKY Blockchain Conference Seoul Session, which was held on March 14-15, 2018, Feng Chi, CEO of Genesis Capital, delivered a speech to note that China’s blockchain industry is now at a turning point switching from the first half of the brave game to the second half that will go on with new rules. After blockchain projects spurted in 2017, the Chinese market has become the whirlwind eye attracting venture capital. The mainstream VC organizations, although taking a seemingly wait-and-see attitude, have been creeping in the battle one after another. As more and more talents and capital flow in, China’s blockchain market will enter a competitive mode. For investors, this transformation bears high likeness to that of the equity investment market. Back in 1992, there were only 4 venture capital companies in the Chinese market. But within the next 10 years, the number soared to 500, and further to 12,000 by 2013. This corresponds to Kurzweil’s “Theory of Singularities”, i.e., technology development is in power-law distribution, slow at the preliminary stage, and faster till a spurt. Feng Chi noted that China’s blockchain investment market will be likewise. In a fully competitive market, it is critical to find out the differentiation. At the early stage, there is the sellers’ market, meaning that investment is sure to bring profits because projects will keep coming in. In contrast, in the second half of the game, investors will need to identify their position. In this regard, Feng Chi proposed Genesis Capital’s 3 iron laws as follows. First, professionalism. The boss not only needs to see the good racing track, but also needs to know good racing technologies and talents. At this point, it is quite clear to investors where the blockchain is heading for. Therefore, apart from technology and feasibility, the most important thing is to find professionals. Second, branding. Investors in the past tended to attract projects with their personal resources and reputation. But in the highly unpredictable blockchain market, the mobility of individuals is too high to control. A fund with a long-term vision should operate the brand as an organization and establish brand reputation in the industry. Last but not least, compliance. The blockchain industry is still in its infancy with many unstable factors, among which the national policy can be the biggest uncertainty. The right way to advance the industry is to embrace the policy and be friends with the watchdogs. At last of the speech, Feng Chi expressed his interests in the Korean market and revealed that several cooperation projects will be launched in 2018.